Making e-Commerce Fulfillment a Snap! When it comes to e-commerce fulfillment, a2b has been an expert for over fifteen years. Our same-day shipping strategy helps in reaching the majority of US consumers within two business days. Add to that our easy integration with existing shopping carts and you’ll find that working with a2b is a snap! Don’t have an existing shopping cart as part of your fulfillment strategy? We can help! With a2b you have the freedom to sell thousands of different items online with complete confidence. We successfully handle high order volumes comprised of complex and numerous SKU sets. Our Discounted Parcel Shipping solutions greatly compliment this method of fulfillment. 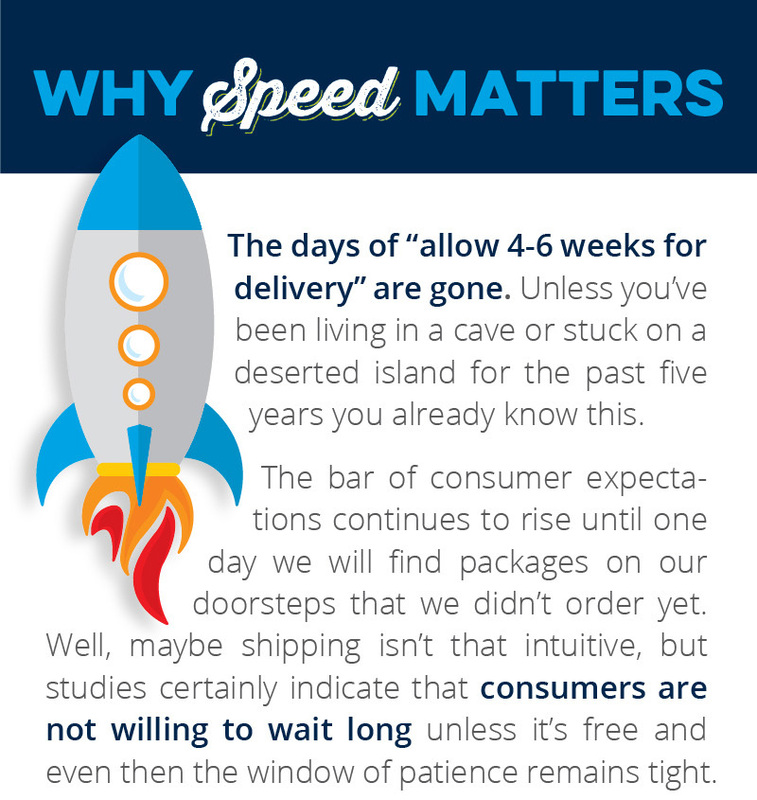 Download our latest Infographic below that shows how important speed is when it comes to e-Commerce Order Fulfillment.